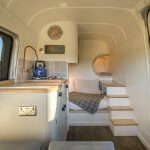 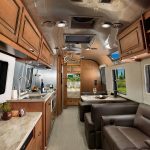 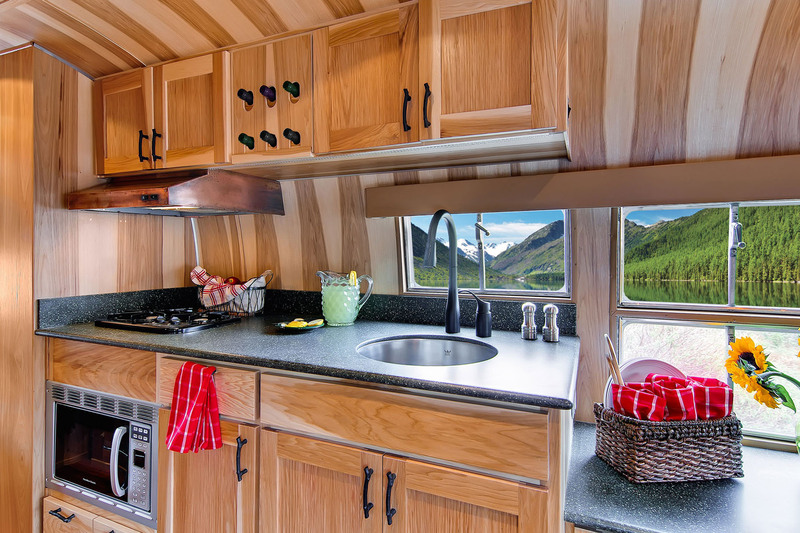 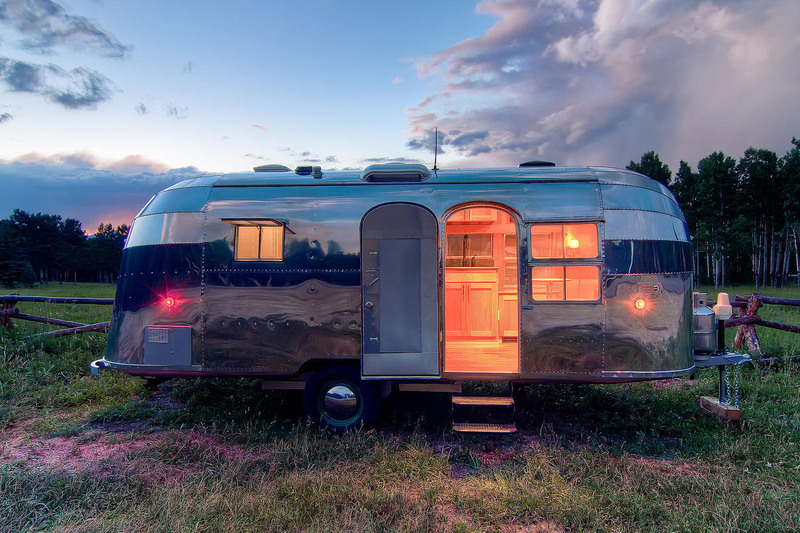 This classic 1954 Airstream Flying Cloud travel trailer has been meticulously restored by Timeless Travel Trailers. 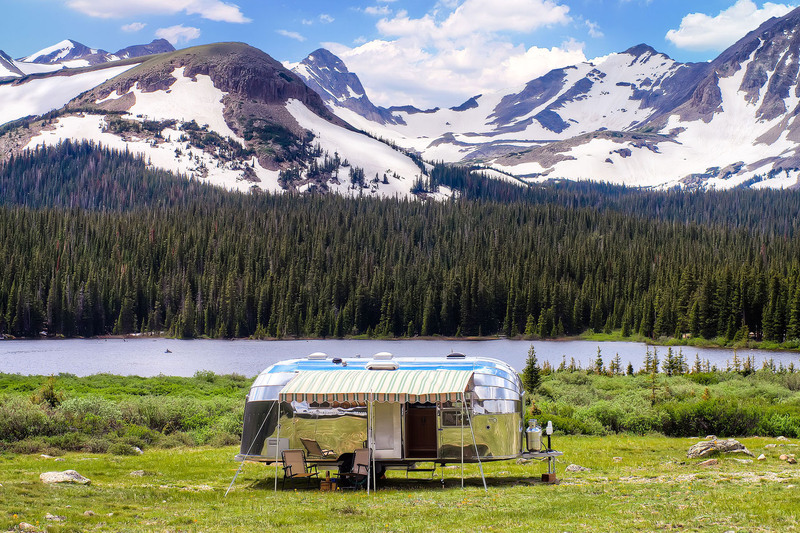 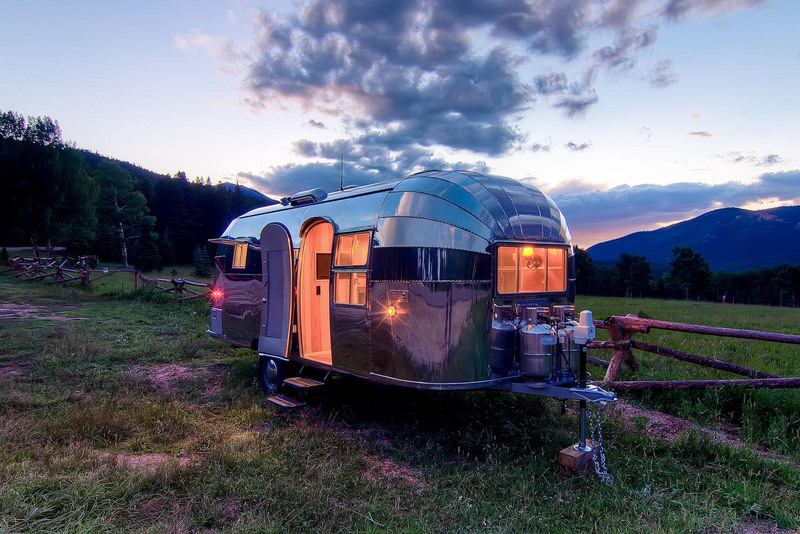 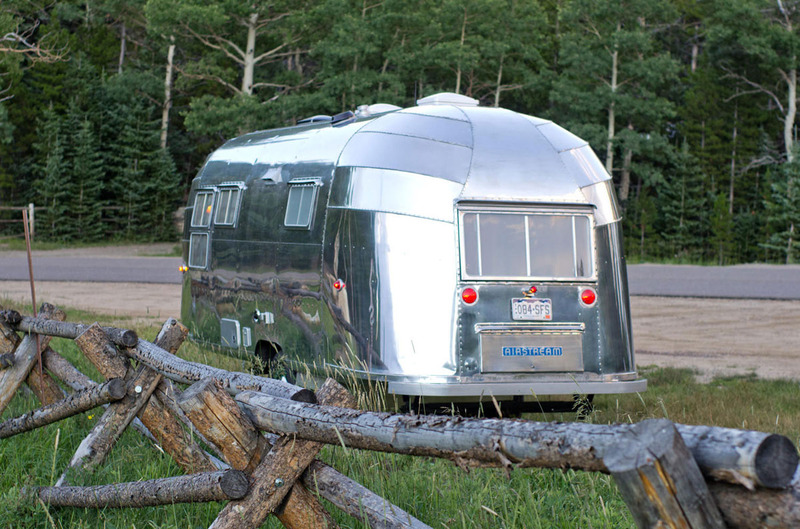 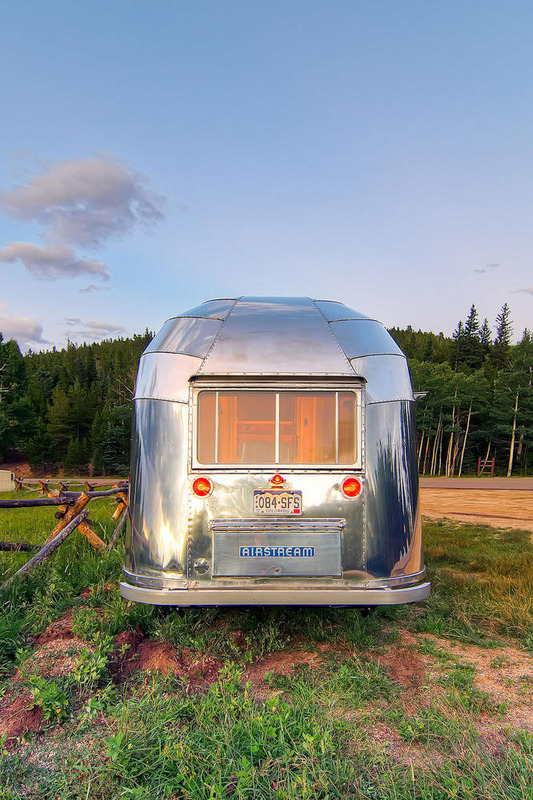 This iconic Airstream was originally used as a hunting and fishing lodge near Goose Lake, Oregon. 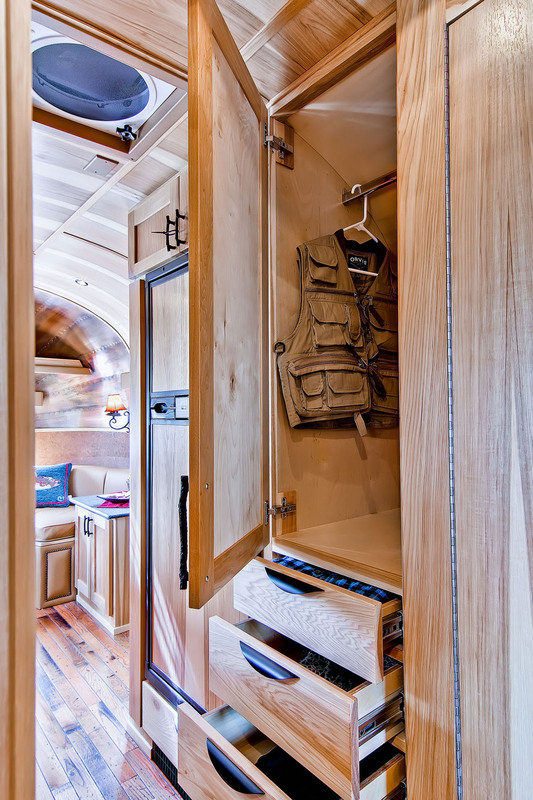 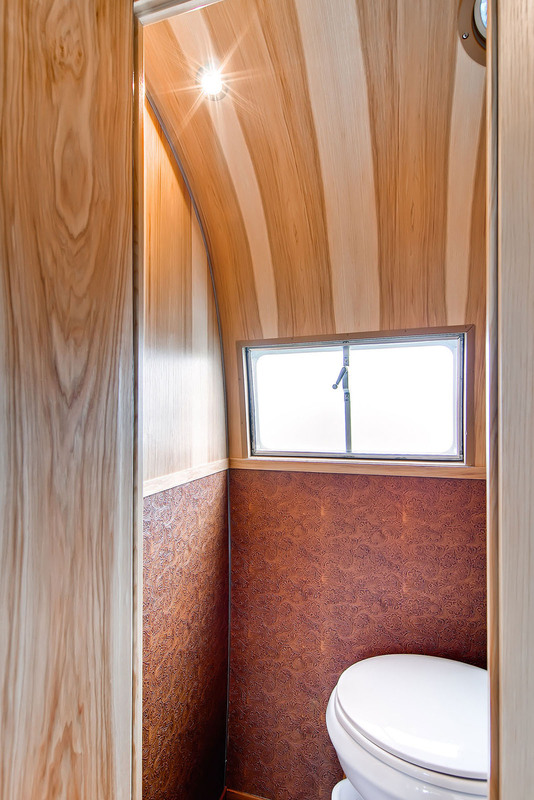 The interior design of the cabin is appointed with hickory wood, aged oak flooring, copper sheet, and genuine leather. 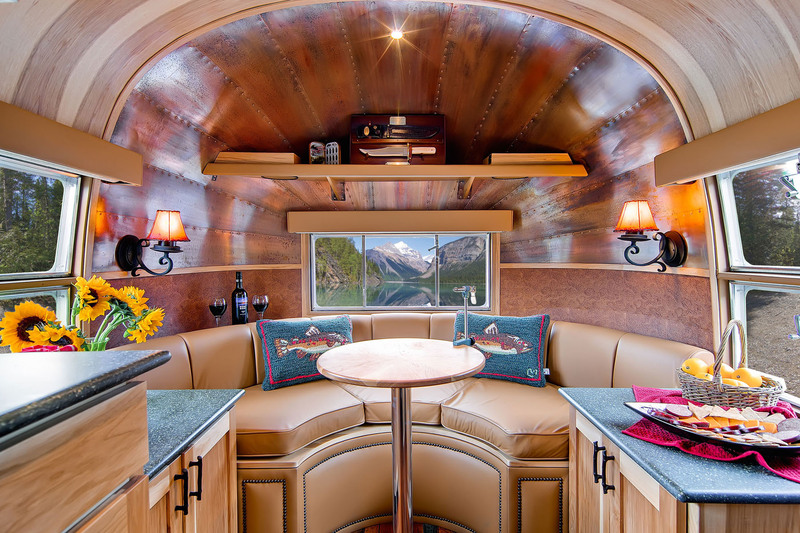 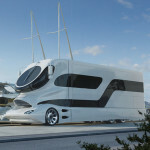 The forward end of the trailer has a semi-circular natural leather sofa. 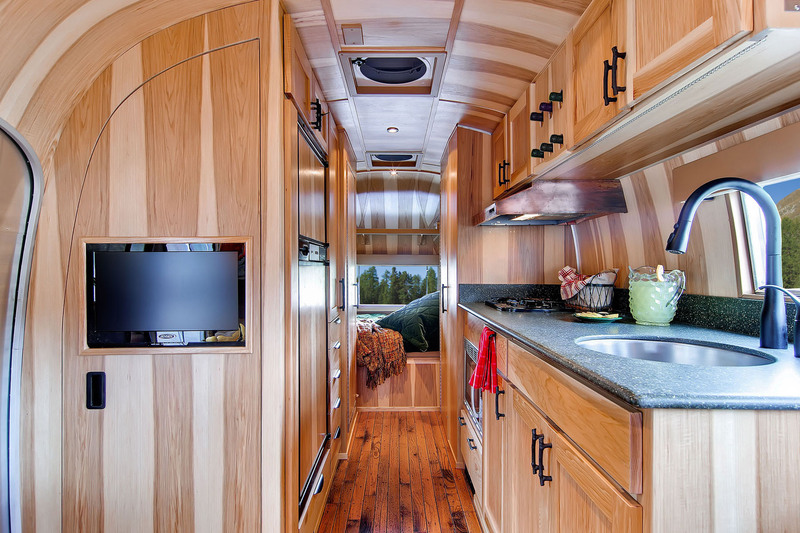 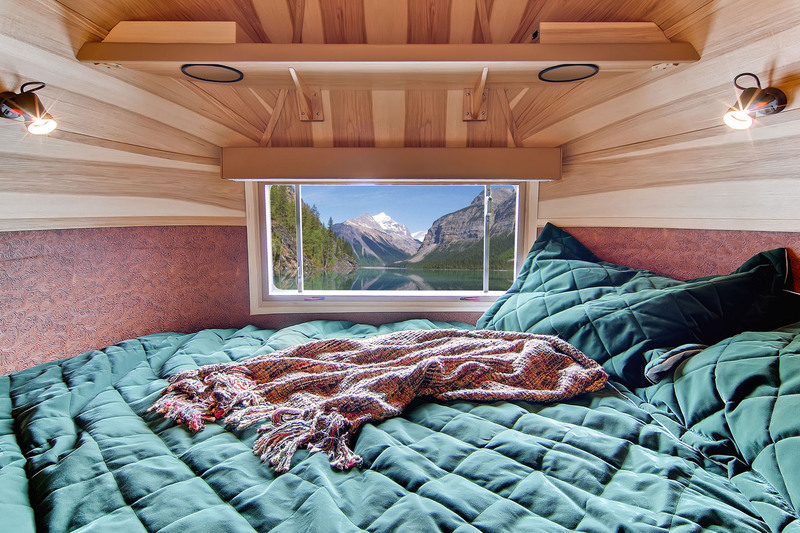 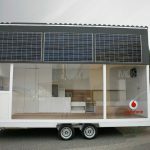 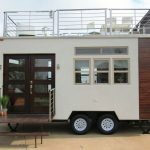 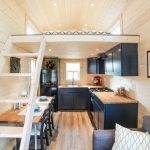 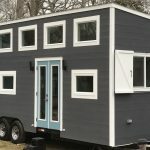 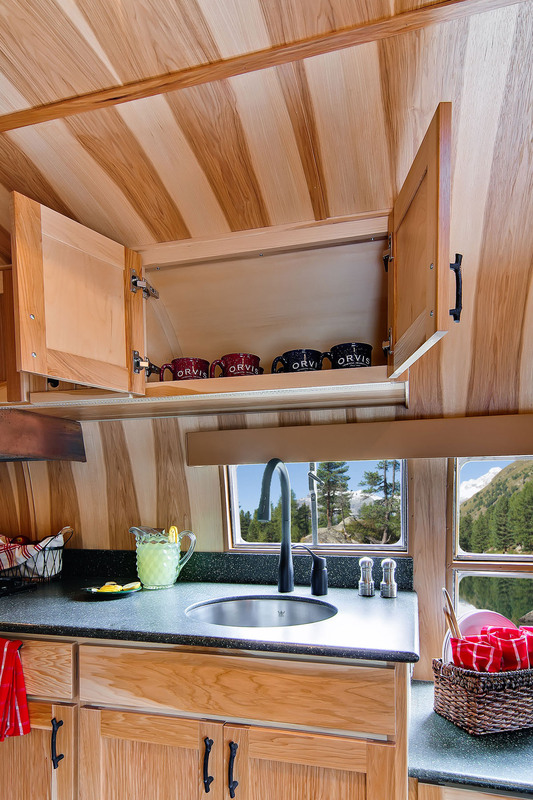 The natural wood interior has plenty of storage and is fully equipped with the technology of a modern trailer including a 19 ” HDTV. 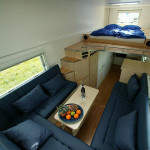 The master control centre for the trailer is hidden behind the TV. 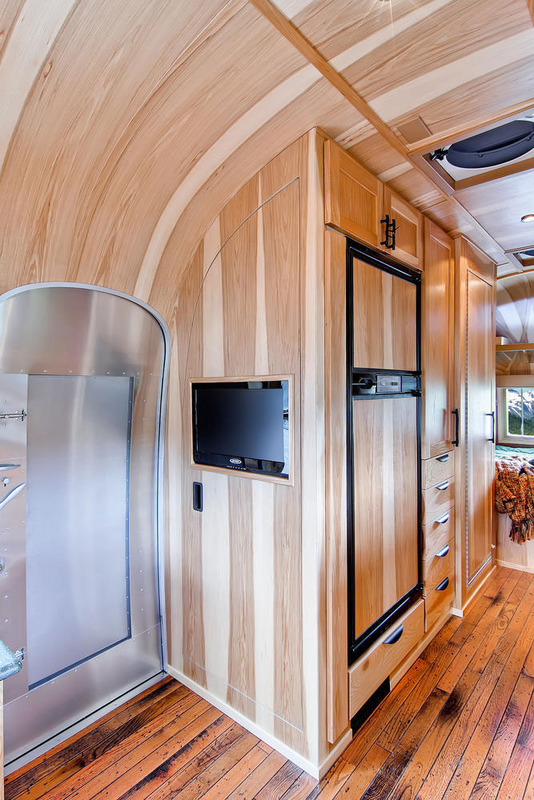 The exterior aluminum skin panels have been fully restored, and the aft end of the trailer boasts the iconic “whale tale”. 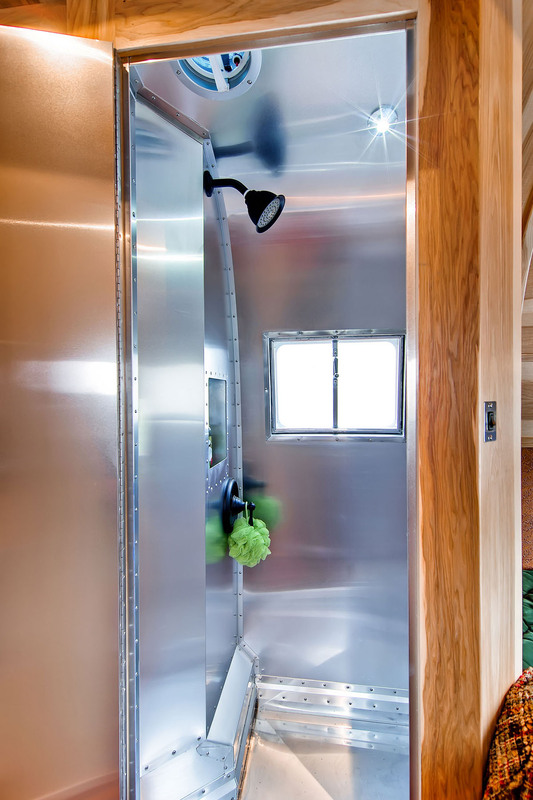 The gleaming hand-polished aluminum skin captures the reflections of its natural surroundings.